James Coffee Company had my name on it. Literally. 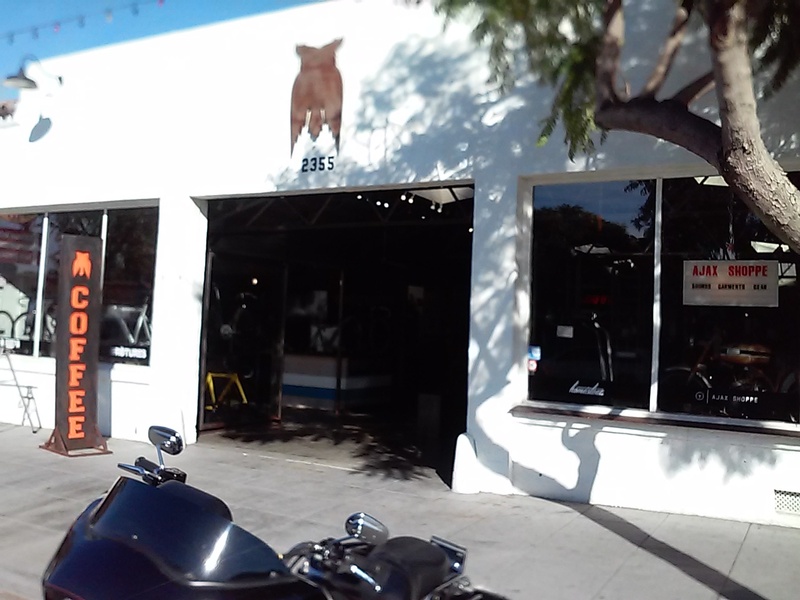 We first learned about James Coffee when they were roasting beans for Swell, a coffee shop in Mission Beach. Then we heard they were selling coffee at Little Italy Farmer’s Market. Things have changed. They are no longer the supplier to Swell as Swell now roasts their own coffee and they no longer have a presence at the Little Italy Farmer’s Market, but they still have a presence in Little Italy with their own coffee shop. 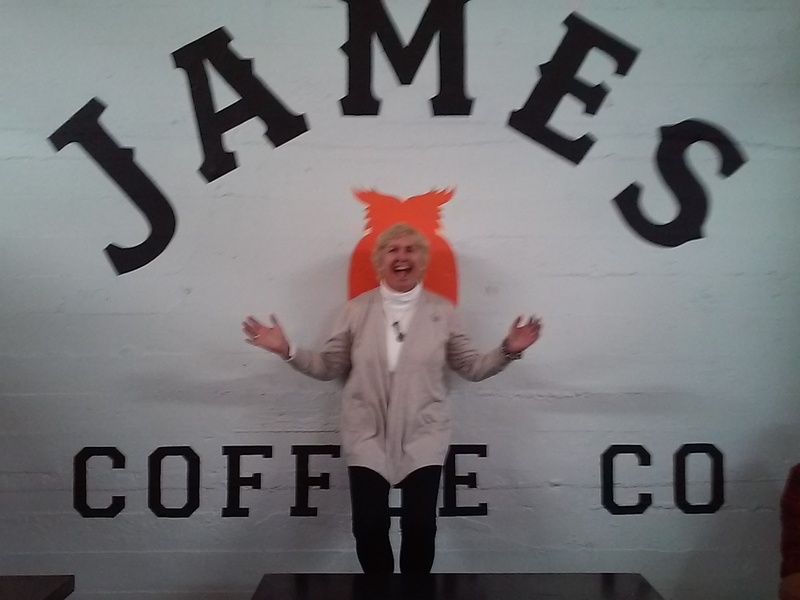 With our buddy Anita visiting the area we headed to James Coffee Company to see what was new. Anita and I split a cranberry scone and we can vouch for those while other offerings looked tempting as well. A large water container sign stated “Drink Responsibly” and made me smile. But it’s their coffee that we came for. They roast their own beans, so the space has the lovely aroma of fresh beans. Pour-overs seem to be their specialty, as well as cold coffee and featured roasts. When we were there it was a “holiday spice” roast. James Coffee is also being brewed at other coffee shops, like Por Vida in Barrio Logan. “The Space”, a former mechanics garage. Notice their owl logo over the door. The building is a former mechanics garage with high ceilings and an industrial look. Their website calls it “The Space”. There are plenty of tables and seating including boxes on wheels that are quite comfortable. Several other small businesses occupy the warehouse space including Urban Shave, a barber shop. Free wifi seems to be quick and reliable and many people were on their computers with headphones enjoying the free internet access while savoring James Coffee. Their gift store has plenty of coffee (whole beans only) and gifts including lots of items with their owl logo. There is free parking to the south (right side) of the building up a steep driveway. Otherwise it’s metered parking on the street. They are open daily from 7:00am to 7:00pm (perhaps later if Little Italy is holding an event). If you’re in the Little Italy for one of the neighborhood special events (see the calendar at www.littleitalysd.com), for the Farmer’s Market on a Saturday morning, or just hanging out in the area, stop in and enjoy the vibe of this space and their fresh roasted coffee.